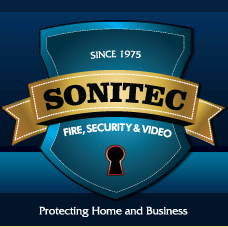 A Sonitec automation system coordinates security, temperatures, lighting, and audio/video automatically for safety, energy savings, and convenience. Automatically dimming lights and changing heating and cooling setpoints when you are away from home can greatly reduce energy costs. Remote access lets you view security video on a laptop or web-enabled cell phone. Adding home automation can also increase the value of your home. Yes. Children can even learn and understand how to use basic features of the system. Day-to-day events are generally automated but can be managed with one button, such as Day, Night, Vacation, or Away. More specific activities are menu driven to change temperature, lights, audio and more. Assistive technology describes the use of technology in daily life for the benefit of people with disabilities. Imagine how difficult it is to come home to your unheated house and have to use a key to open a door , then turn on lights and put any packages away when the telephone rings and you still haven’t settled in when confined to a wheelchair! Now imagine that you could come home and all the above “tasks” are automated for you (except putting packages away). Sonitec leads the way in Assistive technology by caring about how people’s lives are better with technology. From simple to complex , we can help you choose the right solutions for you or your loved ones. We have partners in technology that stand beside us in delivering easy to use voice activated smart home technology into your lives. Sonitec is the first company to have Working Smart Home Centers in Westchester and Rockland Counties NY. Our Rockland smart apartment is located within Helen Hayes Hospital a world renown and foremost rehabilitative treatment center. Helen Hayes has chosen Sonitec to design and build the first voice recognition smart house in the Northeast. Our smart home center in Ardsley NY is a completely designed, fine high end home where technology is at its peak. Appliances, bathtub, windows, cabinets, lighting, doors, and much more appear to be normal but are actually electrically controlled to make living in your home virtually effortless.